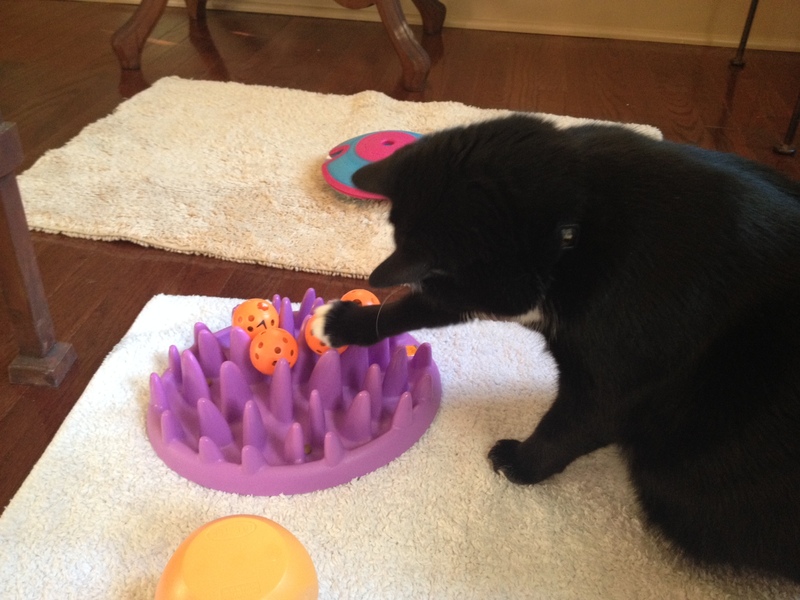 The Catch by Northgate is a nice stationary puzzle that requires your cat to forage with their paws. It is relatively easy for cats who are new to foraging and easy to clean. Good for slowing down fast eaters! 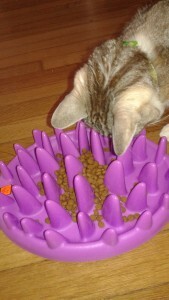 It can be combined with the Foraging Ping Pong Balls from Fundamentally Feline (shown right) for an increased challenge.